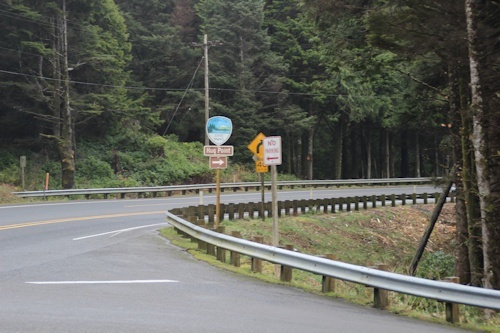 Hwy 101 mile marker 34. 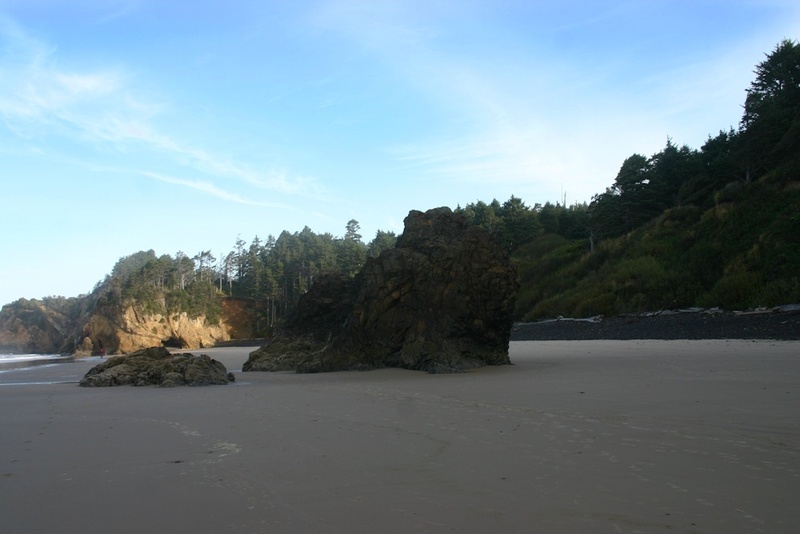 Hug Point is short beach, accessible from a small parking lot off hwy. 101. You can reach adjacent beaches, but only at low tide. At other times, the outcropping rocks are partially submerged. 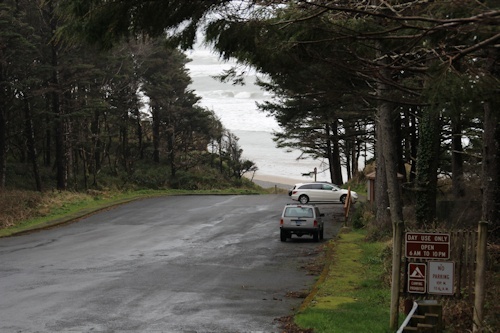 Oregon Parks link:Hug Point No fee. 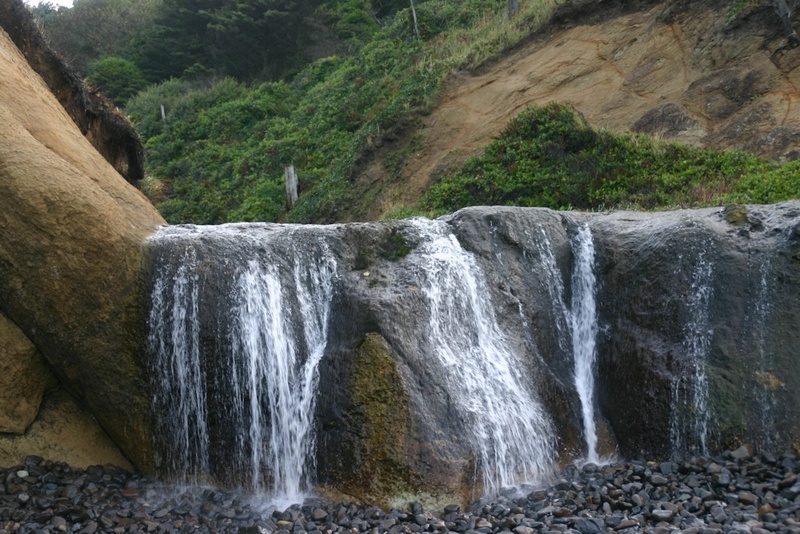 On the north side of the entrance, a waterfall pours out over some smooth rocks. This view shows the cliffs on the north side. Similiar cliffs protrude out into the sea on the south side.